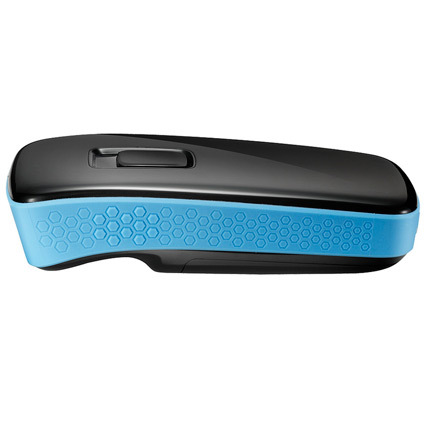 The Unitech MS920 barcode scanner is a perfect companion to iPhones, Android devices, mobile computers, and more. The pocket-size 2D scanner offers both batch and Bluetooth scanning, a fantastic choice for mobile POS, registries, and light inventory management activities. The 2D imager in the MS920 gives you omnidirectional scanning, fantastic for speeding up the scanning process. For standard retail barcodes, the scanner can get successful reads from over a foot away. The MS920 can also read from LCD screens, making it great for mobile ticketing, couponing or admitting applications. Bluetooth comes standard in the MS920, providing a 330-foot radio range from your Bluetooth connected host. The scanner can also be switched to batch mode, storing barcodes until you are ready to download them, such as for receiving or registry applications. Unitech built the MS920 to handle day-to-day retail use, holding up to bumps and knocks that may take down consumer hardware. Rubber around the edges of the scanner provides additional grip while also protecting it from five-foot drops to concrete. The MS920 is rated at IP42 seal standards, meaning dirt and water splashes won´t harm internal electronics. A 1-year warranty comes with the MS920, providing additional peace of mind. 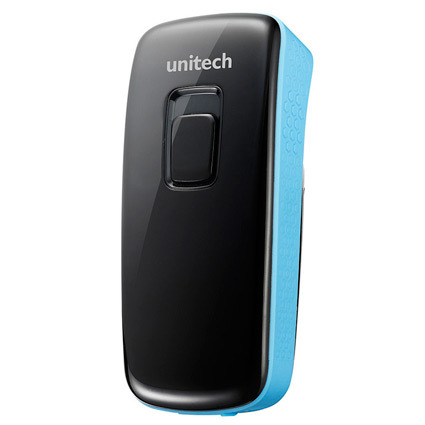 The Unitech MS920 barcode scanner is a perfect companion to iPhones, Android devices, mobile computers, and more. The pocket-size 2D scanner offers both batch and Bluetooth scanning, a fantastic choice for mobile POS, registries, and light inventory management activities. </p><p> The 2D imager in the MS920 gives you omnidirectional scanning, fantastic for speeding up the scanning process. For standard retail barcodes, the scanner can get successful reads from over a foot away. The MS920 can also read from LCD screens, making it great for mobile ticketing, couponing or admitting applications. Dimensions (W x D x H): 2.02" x 4.30" x 1.11"
4 Mil Code 39 2.36" to 7.08"
5 Mil Code 39 1.77" to 8.86"
20 Mil Code 39 2.36" to 25.2"
40 Mil Code 39 4.92" to 38.39"
13 Mil UPC/EAN 1.77" to 16.1"
7 Mil Data Matrix 2.56" to 5.91"
10 Mil Data Matrix 1.77" to 8.28"
15 Mil Data Matrix 1.85" to 12.2"
6.6 Mil PDF417 1.97" to 7.17"
10 Mil PDF417 1.46" to 10.8"
15 Mil PDF417 1.77" to 15.7"